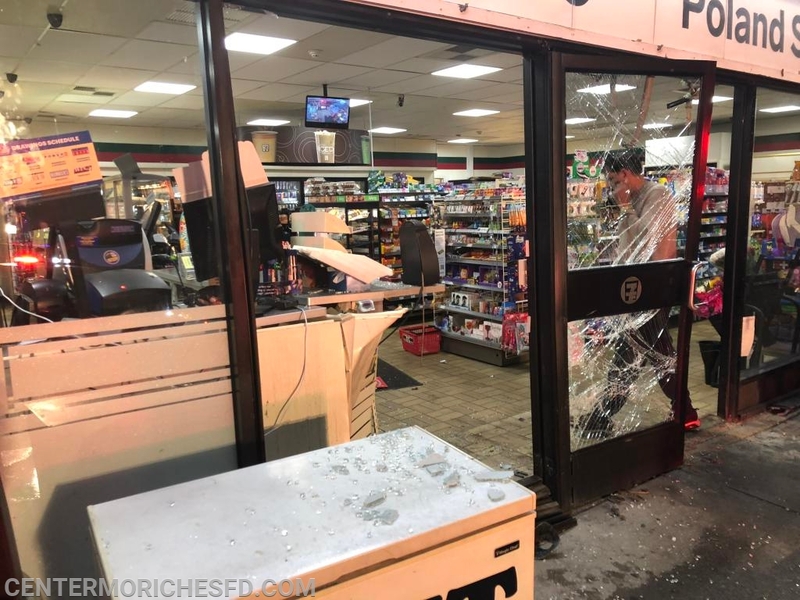 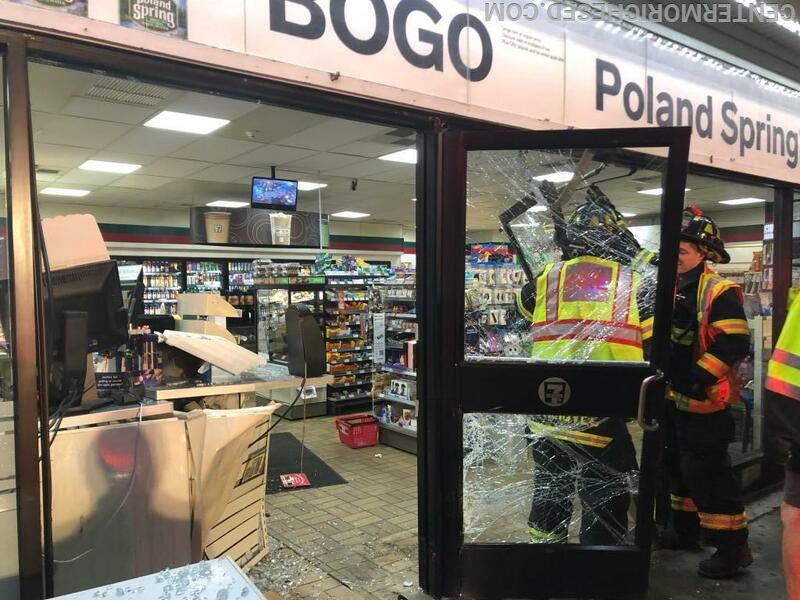 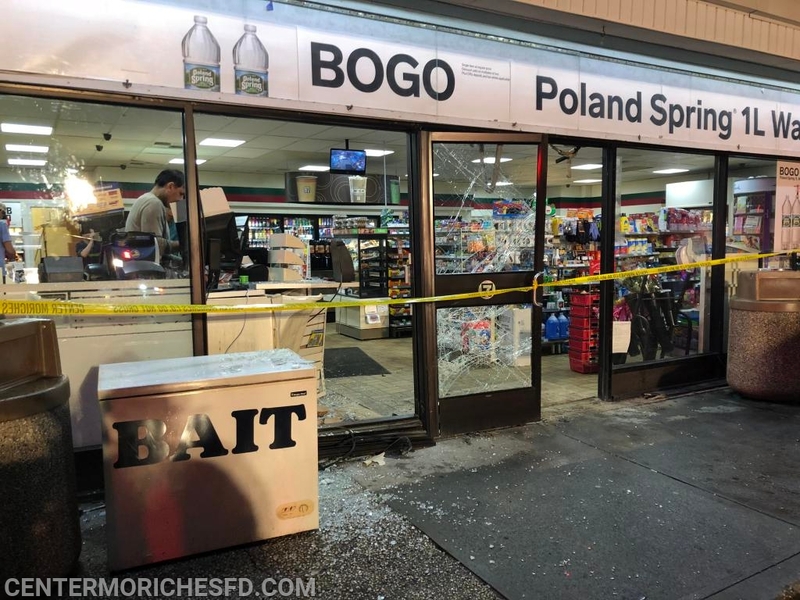 Just before 10pm on Sunday Center Moriches Fire Department was dispatched to a car into the 7-11 store on the corner of Montauk Highway and Senix Avenue. 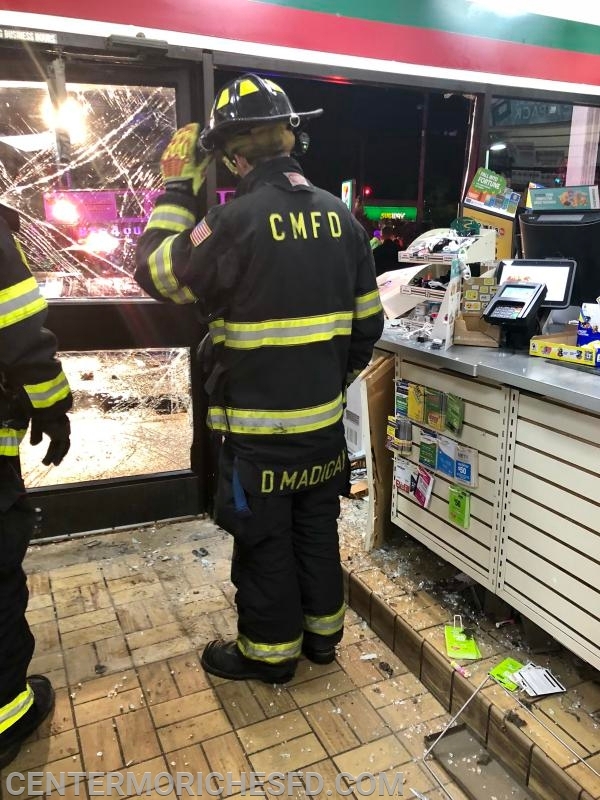 Firefighters arrived on scene and found a car had smashed through the glass front entrance to the building, sending a shower of glass into the store. 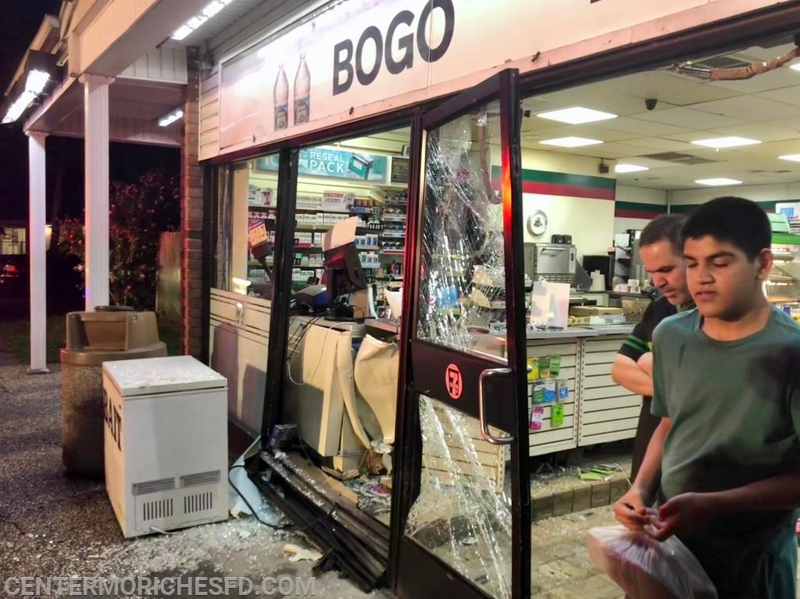 There were no injuries reported and the store remained open for business.